Hope Resource Center is a crisis pregnancy center located in downtown Knoxville. 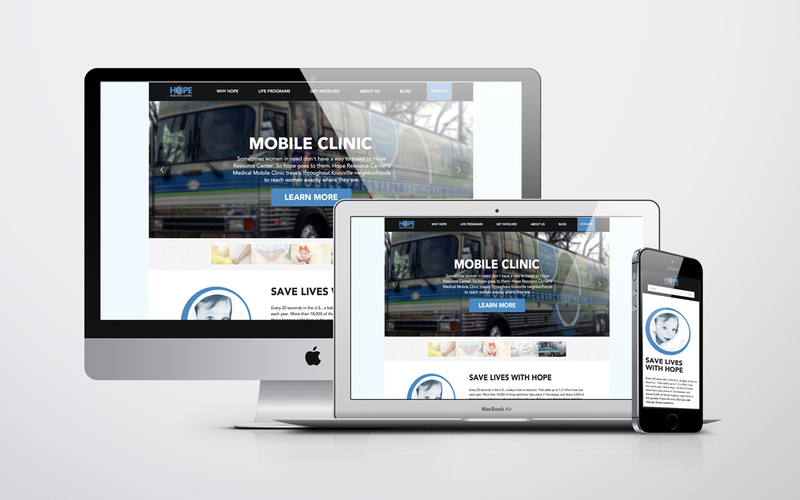 After many years of dealing with an unruly website built in an antiquated platform, the team at Hope requested a full website rebuild in the WordPress platform. New Frame Creative recreated key elements of the design of their original website, then added many enhancements and improvements. Best of all, the website is now extremely user friendly on the back end and Hope Resource Center’s staff and volunteer teams are able to add calendar events, blog posts, and content updates completely in-house.